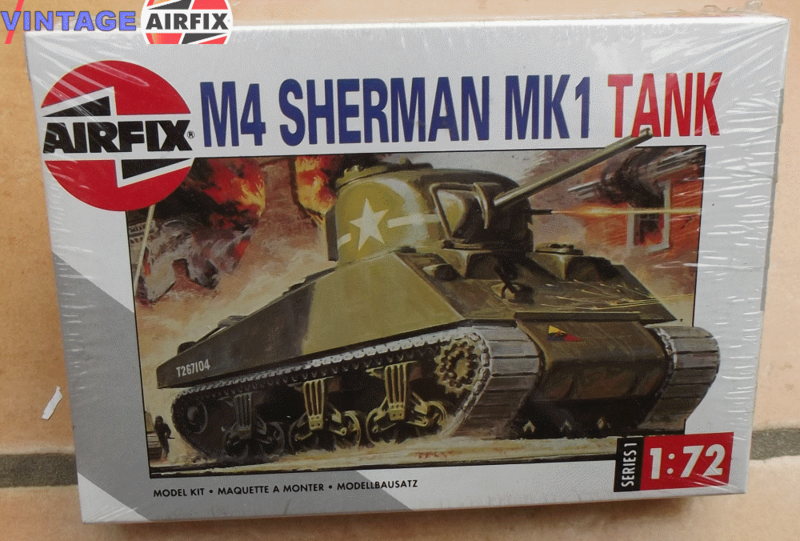 Real life-like battles can be planned and fought with this Airfix 1/76th Sherman Tank, the Panther, and the many fighting aircraft and combat personnel which are all to the same scale. This 55 piece construction kit includes flexible operating caterpillars, swivelling turret and elevating 75mm. gun.